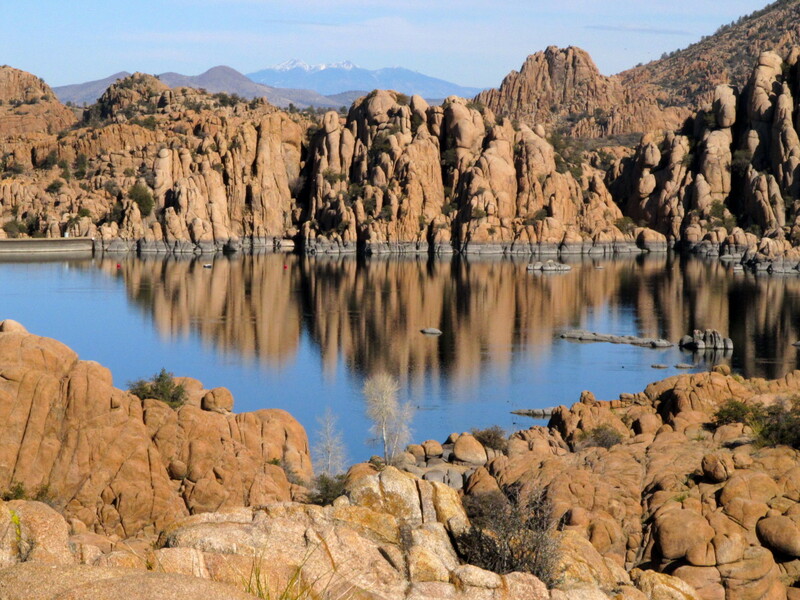 The one hour drive to Watson Lake in Prescott took two hours from our North Phoenix residence. The extra time it took to get there was divided between bathroom stops and getting lost, with an emphasis on getting lost. 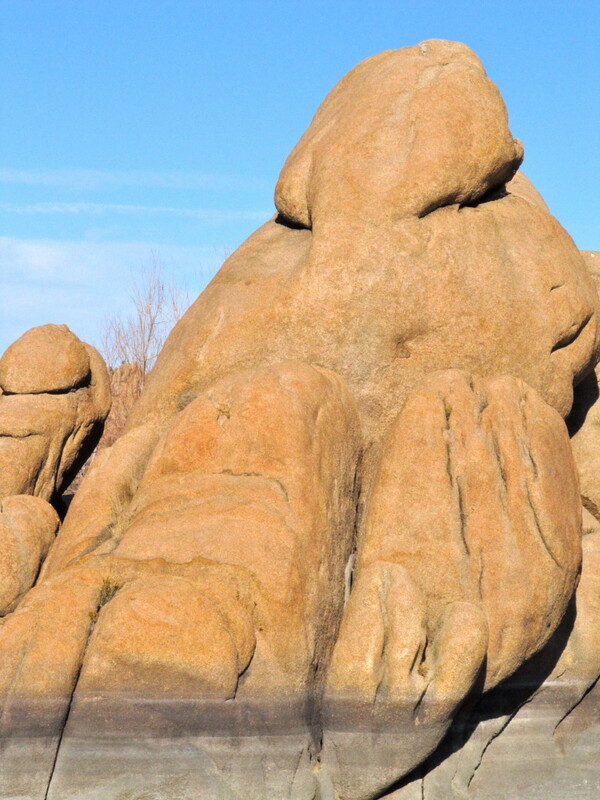 I was taking the kids to hunt down the Granite Dells of Watson Lake, a spot I had first heard about in Dead Point Magazine, a publication for climbers and bouldering enthusiasts. 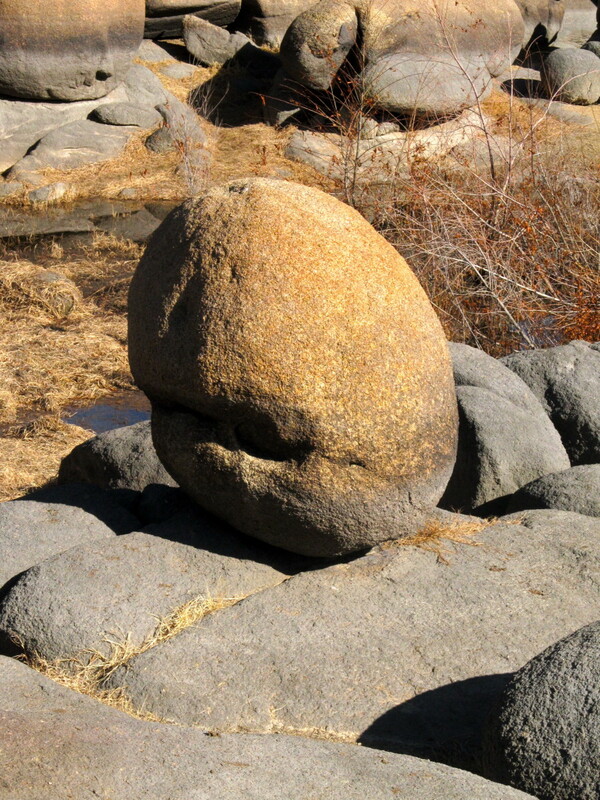 While I had no intention of letting the kids go bouldering (climbing without ropes,) without thick, mattress-sized crash pads available, I suspected there would be ample sculptural eye candy and smaller rocks to clamber over to keep us all busy for a while. Three hours after we arrived we were still climbing over ‘just one more’ rock outcropping to see what was on the other side. I had badly underestimated the fun factor of this natural, exciting playground. 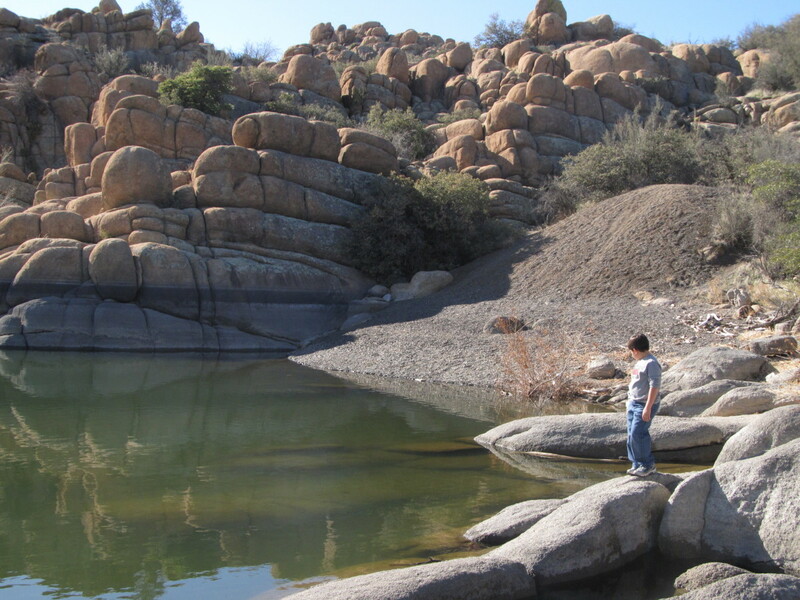 In the early 1900’s, a dam was built on nearby Granite Creek by the Chino Valley irrigation district, creating water reservoirs in and around the Granite Dells. One of these is Watson Lake. 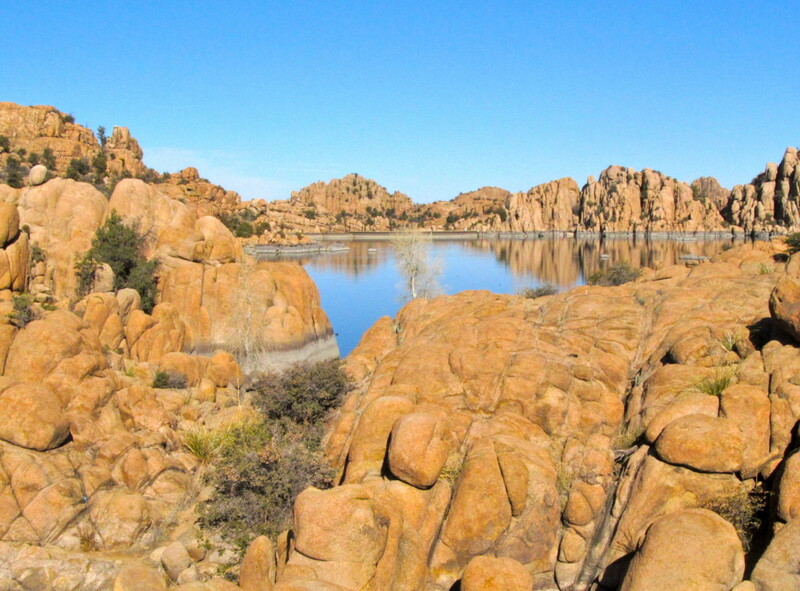 The lake is only a few minutes from downtown Prescott and has about 400 surface acres of water. 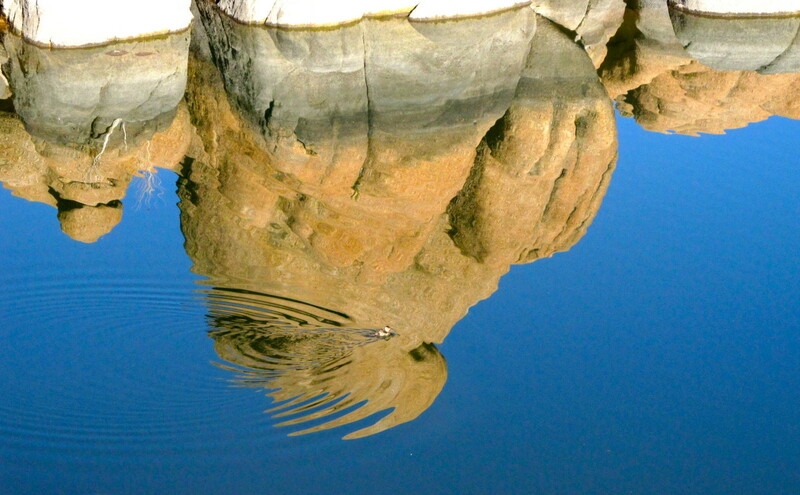 The surrounding granite boulders create spectacular photo opportunities, particularly around calm water. 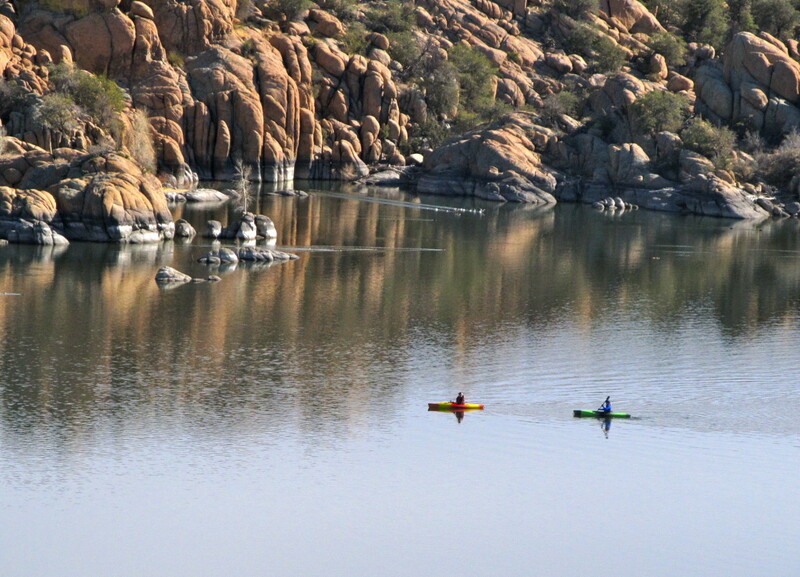 In 1997, the reservoir and surrounding land was purchased by the City of Prescott, and plans to create the current recreational area were put into action. 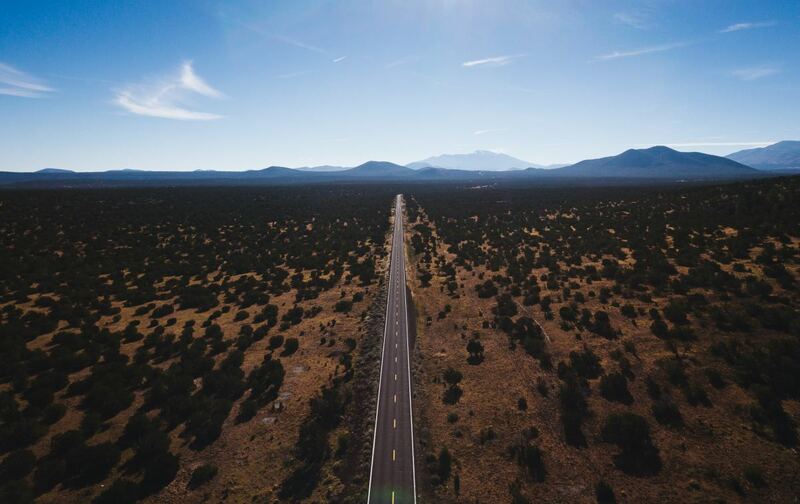 The Peavine and Discovery Trails are the result of a collaborative project between Prescott, Prescott Valley and Chino Valley called the ‘rails-to-trails’ project. The project converts old railroad routes into trails for bikers, horseback riders, and hikers. 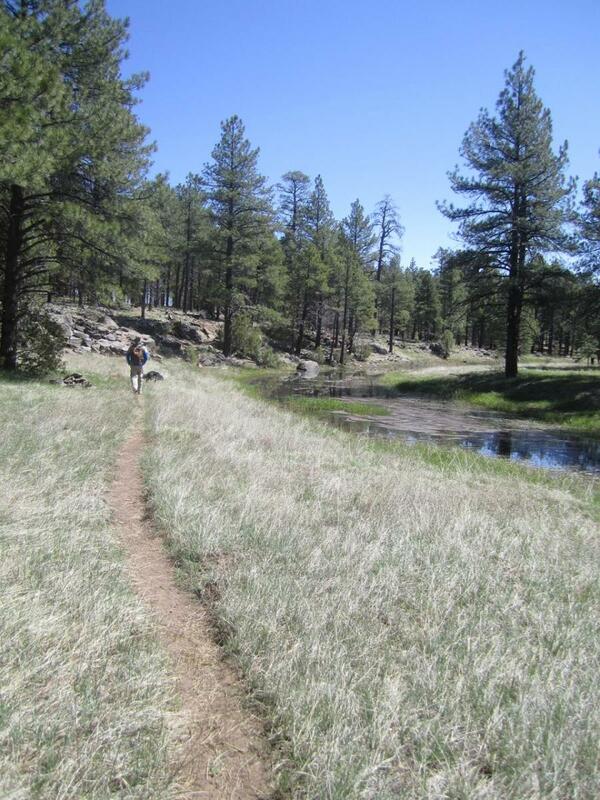 These trails take visitors around Watson Lake and into the Granite Dells and are easy and scenic. The Prescott trail system continues to expand, allowing residents and visitors to take full advantage of this ideal outdoor environment. 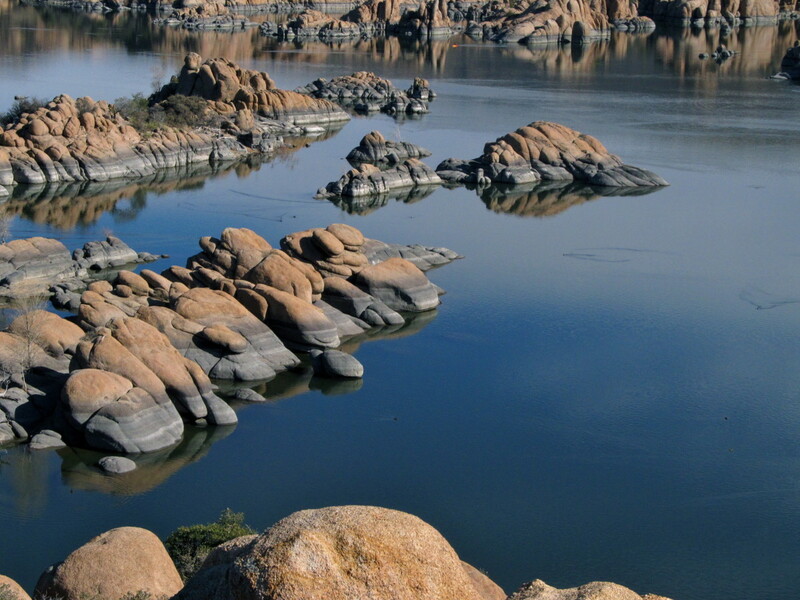 The Granite Dells area is so photogenic it has seen its share of Western movie shoots and was once the location for The Garden of the Gods Resort. The popular resort spot is no longer there, but there is still plenty to do besides take in the spectacular scenery and hike. Boat or bike. Canoe, kayak and bike rentals are available at or nearby Watson Lake, and there is plenty of space to find your own place to paddle. All motorized boats are also permitted, and there are two boat launches at the lake. This is not a speedboat haven, however. The ‘no-wake’ regulation is in effect, limiting speeds to about 5 miles per hour. Fish. In addition, Watson Lake allows licensed boat, dock, and shore fishing and is stocked with several varieties of fish. Varieties include rainbow trout, crappie, catfish, largemouth bass and bluegill. Climb. Experienced and inexperienced climbers can enjoy top rope climbing and bouldering at the Granite Dells in and around Watson Lake. Bring your own equipment or sign up with a professional guide outfit who will take you to their favorite spots and provide equipment. Hike, camp, and picnic. The area is fantastic for a day hike and a picnic, and there are several barbecue pits, clean picnic tables, restrooms and showers for overnight campers during the summer. A good-sized playground area is situated at the entrance to the park as well. As we tracked back over, around and through the boulders we called them out by the nicknames we had given them on the way in. “Hey we’re going the right way, there’s ‘3 Stacked Rocks’ over there. Oh, we’re almost back to the path, there’s ’‘Cosmic Egg’ coming up, and so on. 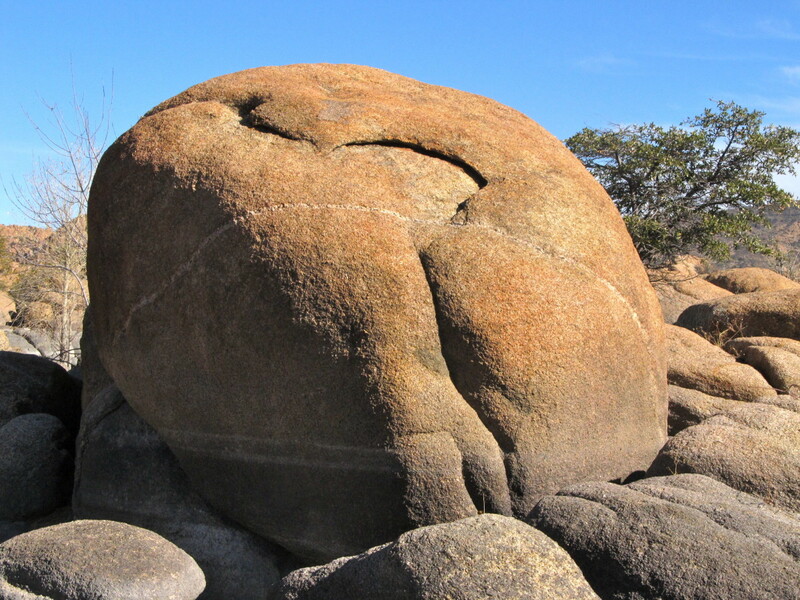 We could have spent a week tracking through the rocks and discovering new natural sculptures in Watson Lake. The legs give out sooner or later, however, and it was time to get going. As we left the entrance to the trail, I heard the sound of accents we had heard earlier from a group also hiking through the rocks. 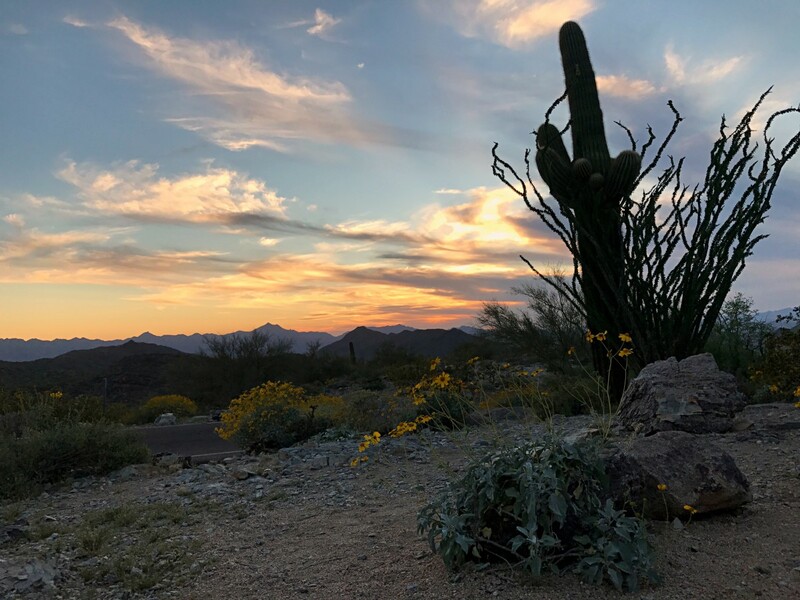 The presence of international visitors has become a common expectation on our Arizona explorations, because as it turns out, Arizona is a popular place to visit. I turn to see a couple sitting in a bench overlooking a pristine lake view. It is an idyllic picture, and no one is capturing it. 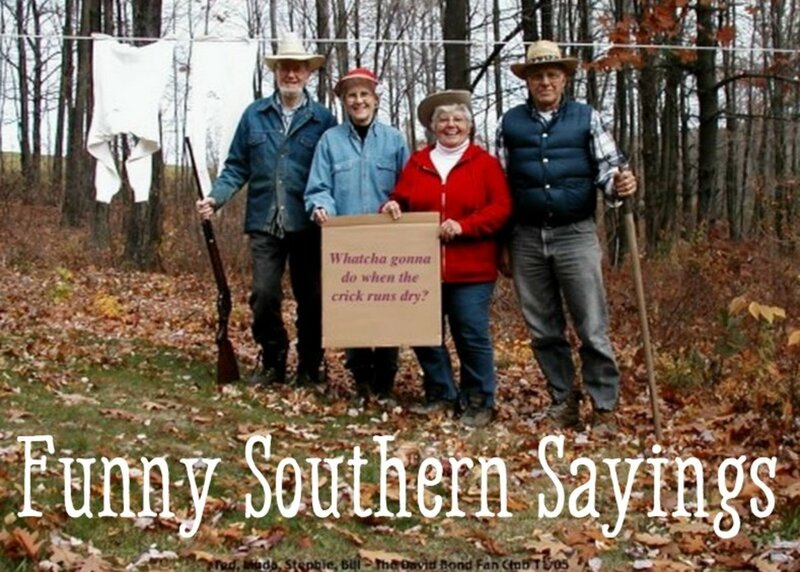 “Where are you folks from?” I ask. “London,” the man replies in a friendly voice. I got the shot, and the man asked me if we were from around here. Even as I say it I know we’ll be back soon. 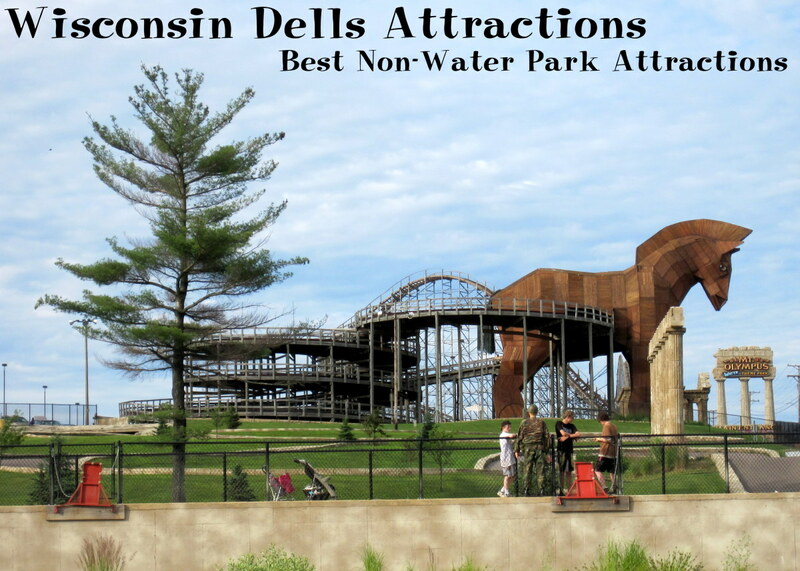 We’ve barely scratched the surface of these Dells at Watson Lake. 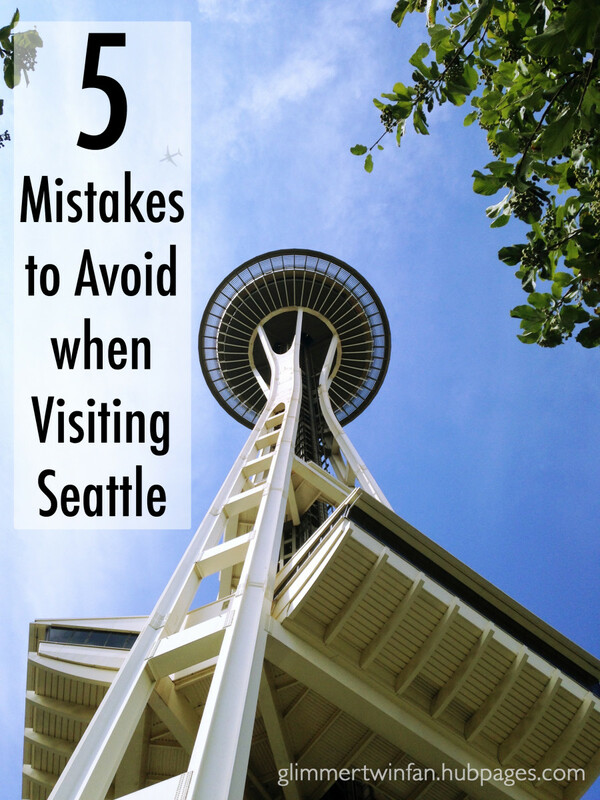 There are places to park and hike in to avoid paying an entry fee, but the fee is only $2, and it goes to support park maintenance and expansion. 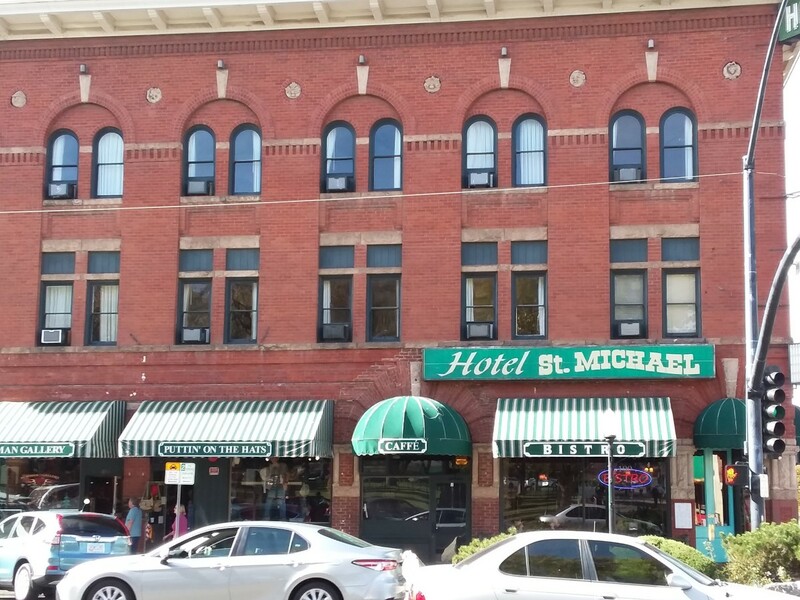 Plus, the parking makes access to the park convenient and easy. Watson Lake is located at 3101 State Highway 89 on your right hand side. What’s So Great About Arizona? Hey Brad, thanks for stopping by. No, I am not a professional copywriter, I am a content writer, however, and that often means writing for a certain point of view. I'll check out your blog, cheers!